Thanks to Chinese retailer Hobbybase, we have our first look at Studio Series 31 Battle Damaged Megatron. 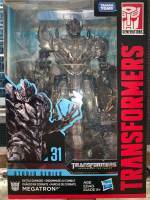 This version of Megatron is a recolored version of the Studio Series 13 release of the Revenge of the Fallen Megatron. However this version has a new head featuring the damage he received following his battle with Optimus in Egypt. 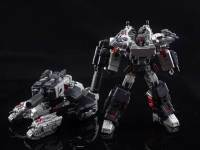 Will you be picking up this version of Megatron? Share your thoughts in the thread.